Each Bastille Day, a strange thing happens as soon as the night falls… Parisians and tourists go to the Eiffel Tower to watch a wonderful event pleasing children and adults. Can you guess what I am talking about? 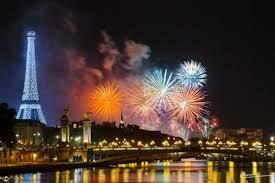 Yes, I am talking about Bastille Day fireworks! Monuments, restaurants, bars, pitches, public gardens, terraces…. What will be the best spot, the most beautiful view to be mesmerized? BVJ PARIS HOSTEL gives you a few tips and pieces of advice so you can make the most of the evening with your friends and family! 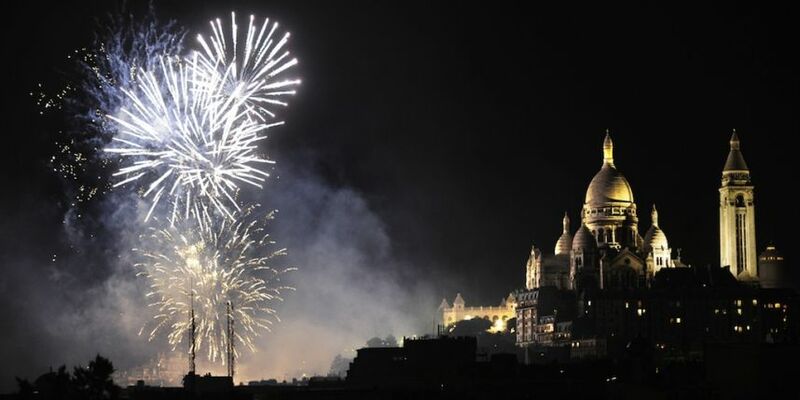 This year again, Paris legendary fireworks will be let off at 11 p.m. on July 14, 2017. 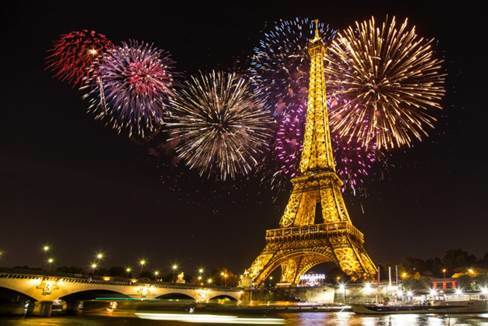 Whilst some are already taking out deckchairs and cameras to enjoy the show as it should be, some others, that are more foresighted, are wondering where to go to get the best view possible.To make the most of the pyrotechnics show, BVJ PARIS HOSTEL you to go to the Champ de Mars. But be careful, it is always super crowded, and even more since a grand music concert will be performed before the firework.So if you are looking for escaping the city’s hustle and bustle, keep reading because we are giving you out some tips to make the best of Bastille Day fireworks 2017 so you can sit back, relax, sip a drink, have a candle-lit dinner, seated in the grass or even on the water! Enjoy! Where to watch Bastille Day fireworks 2017 in Paris? On Bastille Day, one of the most legendary Parisian dinner cruises, le Capitaine Fracasse offers you a special dinner likely to amaze you! For an original and unforgettable Bastille Day, get aboard a barge or a Parisian boat that will take you to the Eiffel Tower! For Bastille Day, this paddle steamer offers you a cold buffet served with a glass of champagne and a view on the Eiffel Tower! At the top of Montmartre hill, use the funicular, stroll around in the narrow and sloping streets and enjoy a wonderful view over Paris! It is a bit far from the Eiffel Tower but the view remains magical and oh-so romantic. It is certainly the most economic and closest place to be to watch the firework. But, you definitely want to come early to have a good seat in due course. 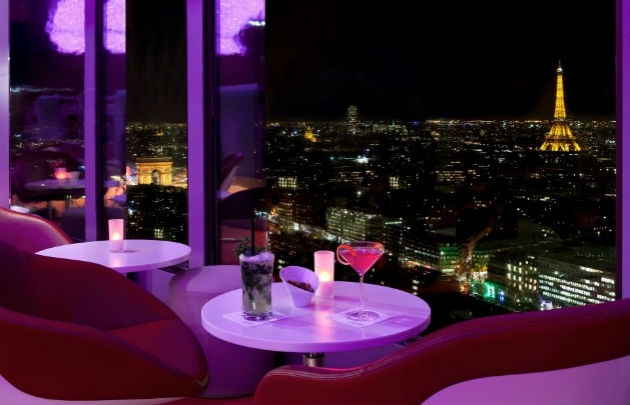 Located at Hyatt Regency Paris Etoile 34th floor, this bar offers a panoramic view on the city of lights, guaranteeing a vertiginous and intense view on the most beautiful monuments. Within walking distance from the Champs Elysées and the Arc de Triomphe, the Hotel Raphael is a haven of peace. The terrace, located on the last floor of the establishment, offers a panoramic view over Paris with a direct view on the Arc de Triomphe and the Eiffel Tower. What a perfect spot for Bastille Day! For the summer, Shangri-La Hotel transforms its suite with a fantastic view into an open-air terrace. The place features an unobstructed view of the Eiffel Tower which turns it into the perfect spot to enjoy the show. 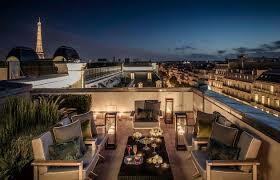 Marignan Hotel located within walking distance from the Champs Elysées opens its rooftop for the summery season. Still quite unknown, this terrace seems to be one of the best places to enjoy Paris fireworks, whilst sipping a glass of champagne. No need to say that this terrace will offer a breathtaking view over the fireworks. And icing on the cake: a 360°-view over the French capital. In short, Bastille Day will blow you away! The Terrass” Hotel offers you to live a breathtaking view and an exceptional dinner followed by the firework. Do you feel like enjoying Bastille Day fireworks 2017 while savoring a gastronomic meal? If so, on Tour Montparnasse 56th floor, the restaurant with a panoramic view over Paris, offers you to wait until 11 p.m. with exceptional dishes. This smart restaurant located Avenue Montaigne, offers you an exceptional view on the Eiffel Tower. Watching the show from this spot is reserved to privileged people, as well as lovebirds.